Also includes Loveland, Masonville, Pinewood Springs, and Big Elk Meadows! Printed on waterproof & tear resistant paper for rugged toughness! 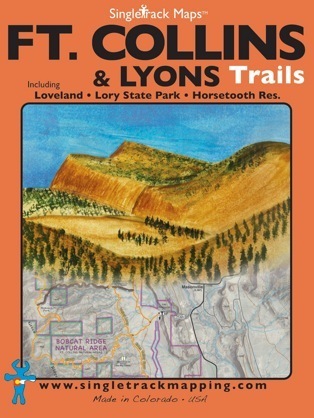 Information & descriptions for select trails. Including mileage & elevation gain / loss. Our maps are designed to easily fit into a jersey pocket, bike shorts or just a regular pocket! No need to take your backpack off and dig out that map.